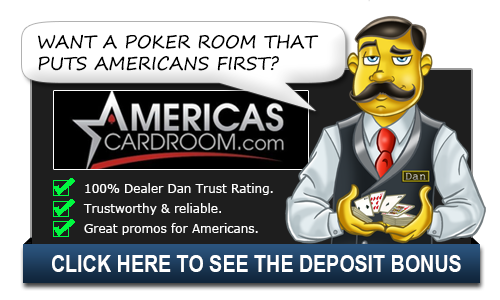 Best Tournament Poker Books - Casino Answers! There are a lot of poker books on the market, with many poker players and authors attempting to take advantage of the poker “boom” that all started with Chris Moneymaker back in 2004. Some of these books are great, however some of these books are terrible and should be avoided at all costs. We’re not interested in those later ones today though. Today, we are covering the best poker books for tournament poker players. While having the same rules and playing style as cash game poker, tournament poker is an entirely different animal and just because you are good at one doesn’t necessarily mean you will be good at the other. Learning how to play tournament poker is a task and that task requires some reading on your part. The Theory of Poker: Although not a tournament specific book, The Theory of Poker by David Sklansky is a must read book for all poker players. Sklansky covers theories and concepts which are applicable to all varations of poker. If there is one poker book that will improve your game, this is the one. If you’ve been playing poker, be it at a home game, in a casino or online, and feel even slightly out of your depth then this is the book for you. The Theory of Poker is the book that will help you “get it”. Harrington On Holdem Volume 1: One of the most respected poker players in the game, Gold Bracelet winner Dan Harrington also brings out one of the most respected poker books for tournament poker players. Harrington on Holdem is a must buy for any tournament poker players. Even if you are more of an Omaha or 7 Card Stud Tournament poker player, this book is still applicable for you due to all the generalized and detailed concepts that it offers. Harrington On Holdem Volume 2: If your problem with tournaments is after the bubble has burst, then this is the book for you. Harrington on Holdem Volume 2 is subtitled End game, and it goes into a lot of detail about short handed play, heads up play, making moves and inflection points, all of which are crucial when it comes down to the last period of a tournament. Kill Phil: It’s hard to imagine a book that has had more impact on the online poker tournament scene than Kill Phil by Blair Rodman. Kill Phil is an excellent book that brings in a whole new style of poker. When it comes to tournament poker, skill and experience is obviously a huge factor. The Kill Phil strategy is aimed towards minimizing the depth of strategy and skill needed, while presenting the beginner tournament poker player with the types of strategies and moves that you will never feel out of your depth, no matter who you are sitting at the poker table with.